The California Democratic Council has released a response to the decision rendered by the Compliance Review Commission of the California Democratic Party. Ten weeks ago, on February 23, California Democrats elected a new team of officers by a 3 to 1 margin to lead and rebuild the California Democratic Council (CDC). Despite that overwhelming mandate from grassroots Democrats in a free and fair election, three aggrieved persons filed a complaint with the California Democratic Party to dispute the result. 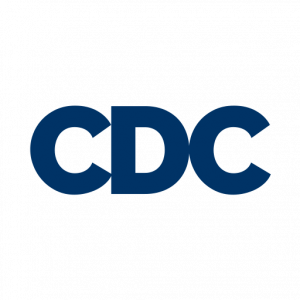 The CDC is a chartered statewide organization. The 1952 charter of the CDC explicitly protects its independence. Chartered Organizations are intended to be independent of the California Democratic Party and not “affiliated“ therewith, as that term is defined by the Bipartisan Campaign Reform Act and other applicable Local, State and Federal laws, rules and regulations. This Committee* shall not engage in any activities that directly or indirectly establish, finance, maintain, or control any organization chartered under this Article. Therefore, the ruling issued on May 1, 2018, by the Compliance Review Commission (CRC), a body formed and empowered by the *Democratic State Central Committee, colloquially referred to as the “CDP,” has no authority to resolve any issues pertaining to activities, including elections, of the California Democratic Council (CDC). We are aware that Brenda Bell and her co-complainants Yousef Bhaghani and Holly Andrade Blair were disappointed with the outcome of the election of officers conducted at the February 23, 2018, meeting of the CDC in San Diego, California. It is unfortunate they were unable to abide by the outcome of this properly convened and conducted election, and resorted to inviting interference into CDC affairs and thus undermined the independence and urgently needed restoration of full functionality by an institution that is a critical component of Democratic activism in California. We, the officers duly elected at that meeting, inform the complainants we are not bound by the findings of the CRC or of any other committee or commission of the CDP. We awaited results of their complaint in hopes that we could avoid any further dissension among Democrats during this critical election year. But it is time for this charade to cease.